If you are considering a DIY window replacement project, Windows Only is a great resource to help save you time, money, and hassle. We are pleased to offer a variety of options and resources for the Do-It-Yourselfer or handy homeowner. obligation. Your windows can be picked up from our shop, or delivered to the job site for a small delivery fee. From time to time we conduct window schools. These courses are conducted by one of our master installers and are filled with tips and tricks of the trade that will save you time, hassle, and money. Those attendees who purchase their windows from us will be refunded their registration fee in their order. If you would like to receive an email notification for our next window school in your area, click here. Our professional installer will meet with you at your home to discuss your specific project, answer your questions, and provide you with the right information to save time, and avoid costly mistakes. 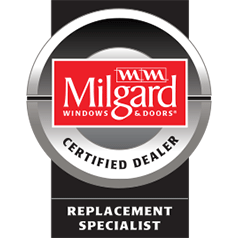 If you end up purchasing windows from us, we will credit 50% of the consultation fee toward your window purchase. We do offer full service window replacement and installation service to homeowners who don’t want to go to the hassle of doing the project themselves. With our full service, we conduct every aspect of the process (from product selection and presentation, to fabrication, installation, and clean up). If you prefer this option, we are happy to help. Click here to schedule your in-home consultation.